A Bridge between the Past and the Present. 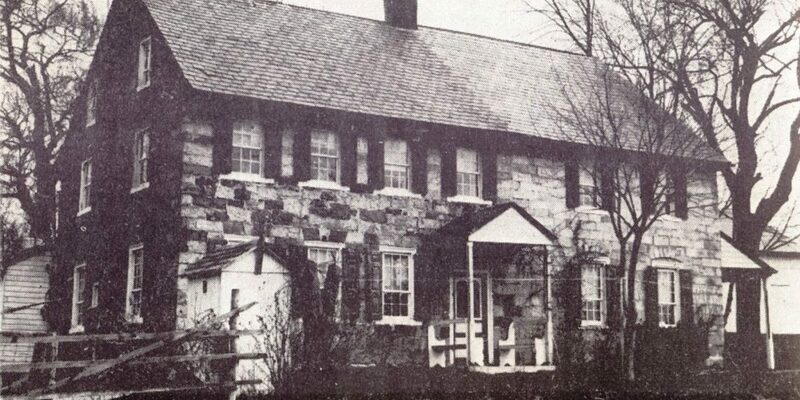 The "A" Family Homestead, East Hempfield Twp., Lancaster County, PA. 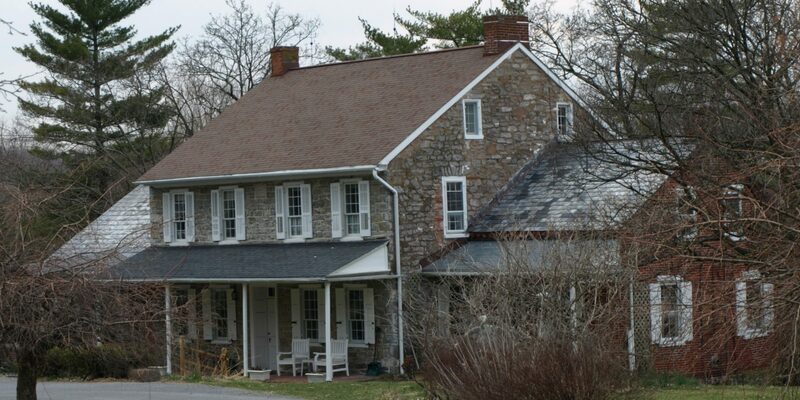 The "B" Family Homestead, East Hempfield Twp., Lancaster County, PA.
A Heritage to learn from and pass on. 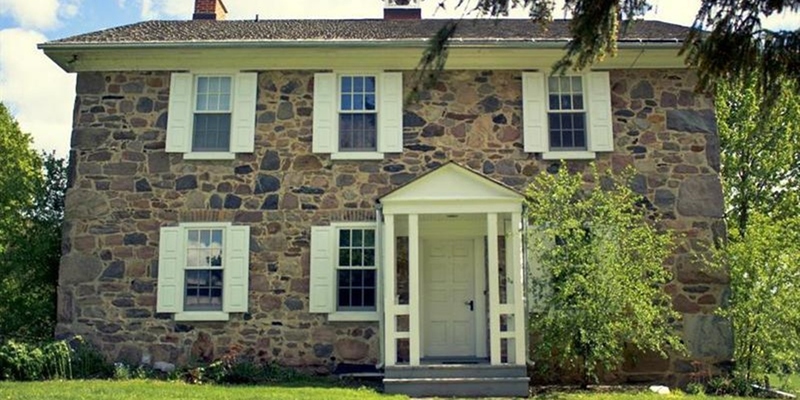 The Brubaker Valley Homestead, Elizabeth Twp., Lancaster County, PA. The Brubacher House, Waterloo, ON. 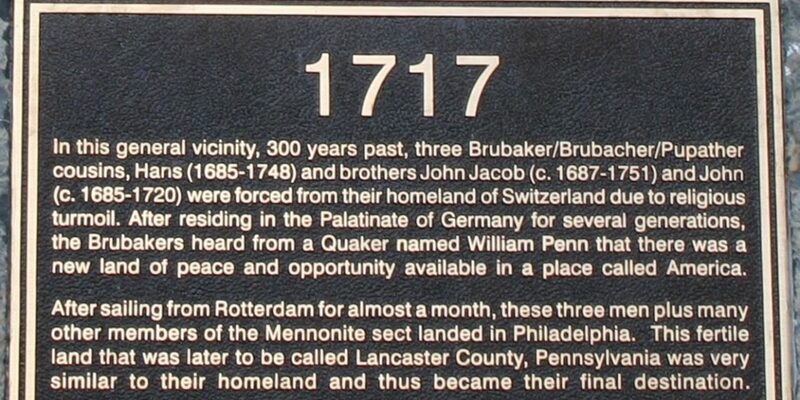 In the late summer of 1717, immigrants by the name of Hans Brubaker and Christian Hershey, late of the Palatinate on the Rhine River in what is today Germany and Switzerland, arrived in Lancaster County, Pennsylvania. Together, they purchased a 1,000 acre tract of land from William Penn’s agents. Hans’ cousin John arrived around the same time and purchased an additional 200 acres of land that adjoined the Brubaker/Hershey tract. His other cousin Jacob (brother to John) also arrived in America at the same time. 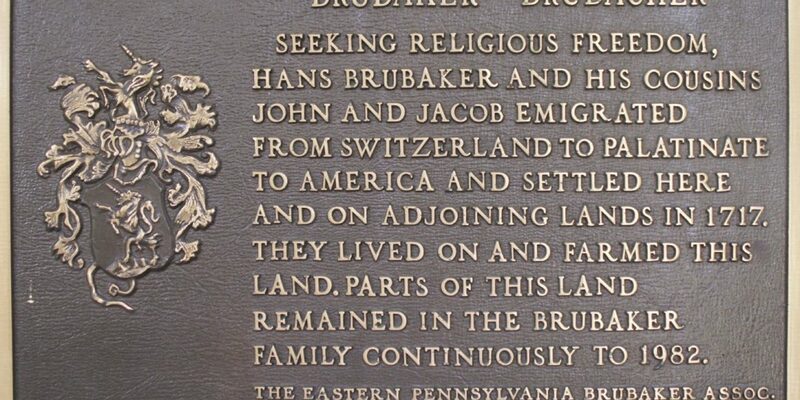 The 1,000 acre Brubaker/Hershey tract was divided by them “by mutual consent” in 1718. This division was legalized with the Christian Hershey heirs between 1729 and 1733. 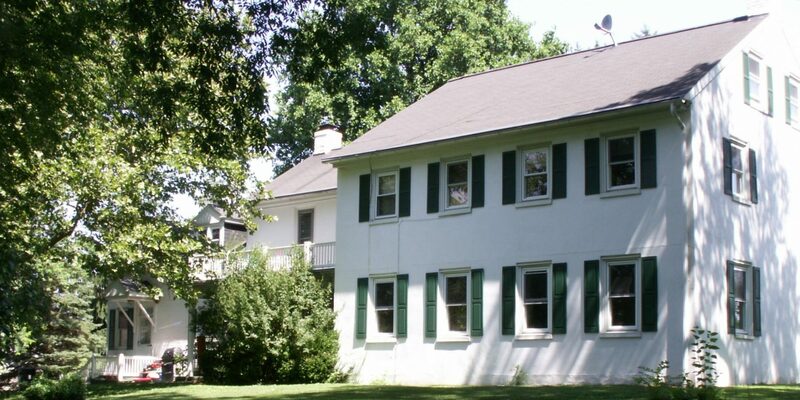 Hans erected farm buildings, a grist mill and the first Mennonite meetinghouse in Lancaster County on his property. 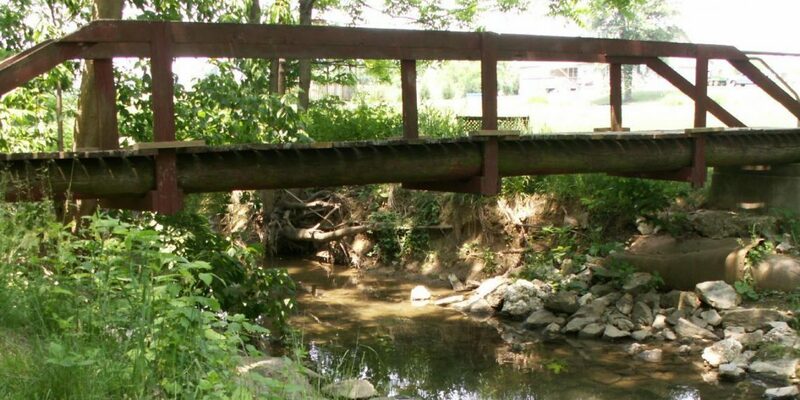 Hans and his heirs purchased additional lands in Hempfield Township (now East Hempfield Township), Elizabeth Township, and Rapho Township in Lancaster County, and in Page County, Virgina. His relatives also migrated to Canada, Ohio, Illinois, and numerous other locales westward and southward through the United States. This website, by authorization of the Brubaker Families of America Association is dedicated to the collection, preservation, and dissemination of the history of the first Brubaker settlers from the Old World to arrive in North America. It is also intended to be a gathering place of new or additional information to be shared with the larger Brubaker Family of today. 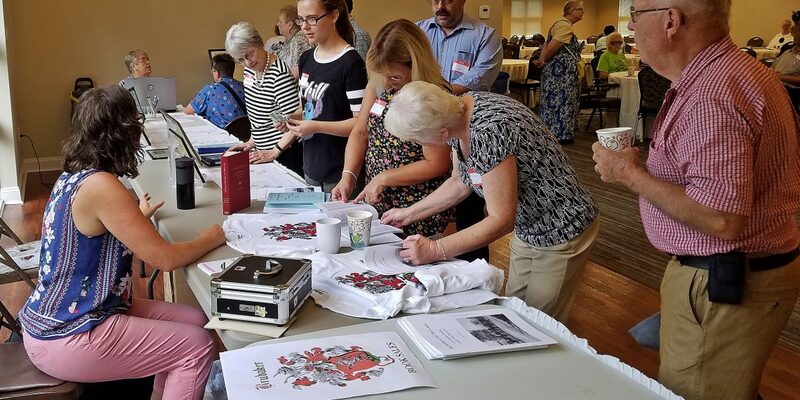 See photos, gravesites, learn of the history of the Brubaker Family’s ancestors; see what we are up to today through our annual reunion! We welcome you to tour our website. 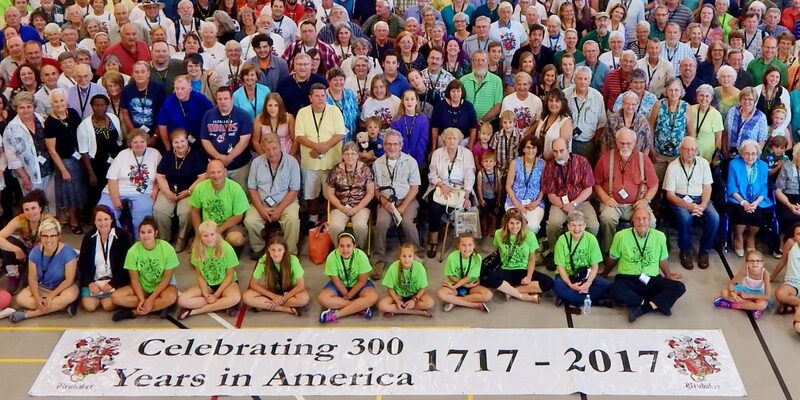 If you are a Brubaker or have Brubaker relatives, we invite you to contact us, and maybe even join us at our next annual family reunion!